Just wanted to see the interest in a fast MFT manual cinema zoom lens. Probably not worth the R&D to make it, but there really isn't a cinema zoom lens out there that's specifically made for M43. Tokina has a cinema line of zooms that come in MFT, but they are made for S35mm sensors. And JVC's LS300 can do their digital zoom in, but you need that specific camera. Panasonic's FZ2500 now has useable zoom motion w/ great range, but the lens is not constant aperture, nor is it fast enough, plus it's a 1 inch sensor. And yes there are plenty of broadcast zoom lenses, as well as C-mount zooms that can work with the right adapter & extender. Something in the lines of 10-100mm, or 12-120mm with at least T2.1, has to be parfocal, but macro optional. Kind of like the vintage 16mm zooms from Angenieux / Zeiss / Cooke. I've been using the Olympus 12-40mm with gears for both zoom and focus, but it's not quite parfocal; was even dreaming of a full Duclos mod like their 11-16mm! Fuji claim that the E-mount, due to its reduced flange distance, is one of the only mounts able to accomodate such a lens, hence why they only made it for Sony E-mount. Ironically that is an aspect of MFT that has always been discussed. Maybe more companies will make serious cinema glass for MFT due to the GH5? It would be super great if Panasonic came up with another MFT camera in the Varicam line, however I think that new 'mystery camera' is a canon mount from the X-Ray pics. All we need is a company rehousing the Olympus FT Pro Lenses 14-35mm and 35-100mm F2.0 with full mechanical gears. 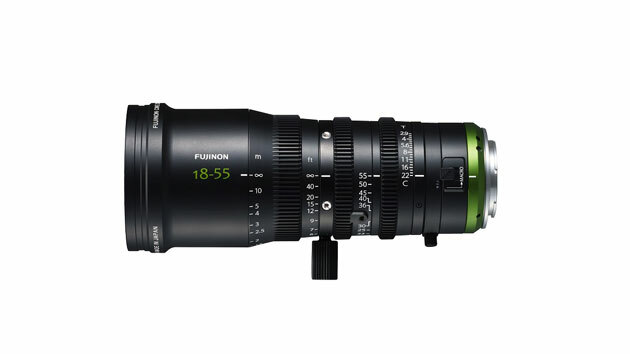 that Fujinon also comes with PL-mount which you can adapt to mft. @JackBayer really? I can't find that. Is it the exact same lens? That lens really is a "system seller". @JackBayer The Fujinon 18 -55 is E mount only.